The new fun, interactive features of the Bee-Bot V2 makes this award winning programmable robot even better for teaching early learners how to code and problem solve. Robust and small in design this the Bee-Bot ia a delightful and exciting programmable floor robot. 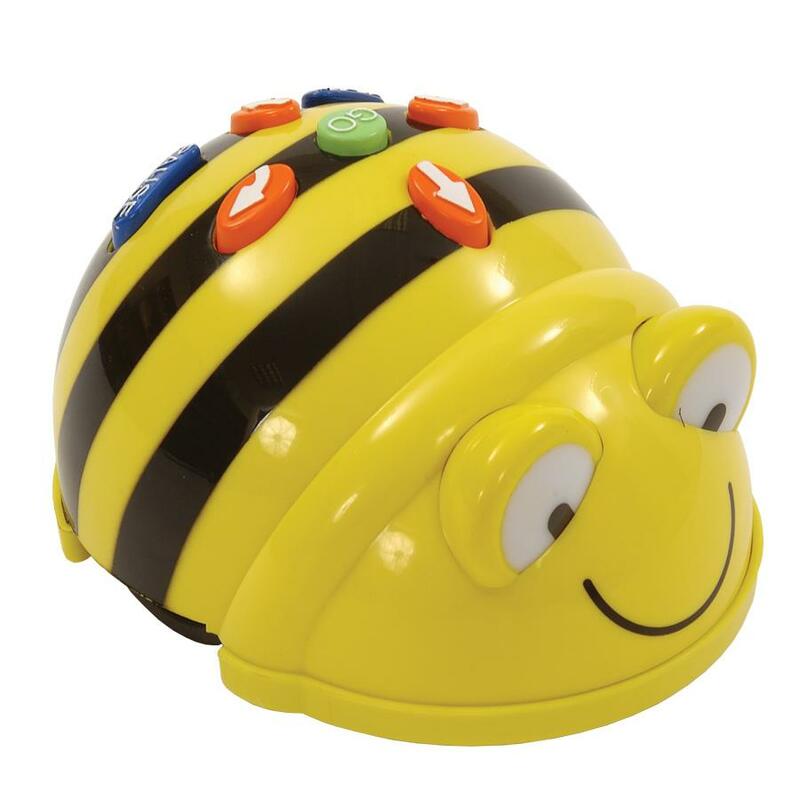 The new and improved Bee-Bot V2 is a perfect starting point for teaching control, directional language and programming.The Bee-Bot's simple and child friendly layout is a perfect starting point for teaching control, directional language and programming to young children. Children can learn easy programming and coding skills while setting Bee-Bot’s course, as well as designing their own adventures for Bee-Bot to take part in. Sounds and flashing eyes confirm instructions which gives children immediate audio and visual feedback, there are no confusing degrees to program and it now has a memory of up to 200 steps! That's 160 more steps! With flashing eyes/beep when instructions are given and many accessories including mats and hats, this is ideal for use across the curriculum. 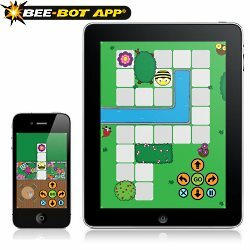 The Bee-Bot App makes use of Bee-Bot's keypad functionality and enables children to improve their skills in directional language and programming through sequences of forwards, backwards, left and right 90 degree turns. The app has been developed with 12 levels encouraging progression. Each level is timed and the faster it is completed the more stars you get! The levels are set in an engaging garden scenario and will appeal from age 4 and upwards. Pease Note: The Bee-Bot apps are only available for iPhone, iPad and iPod Touch.